There is something particularly exciting about discovering a new shop especially if it is managed by an old friend’s daughter. 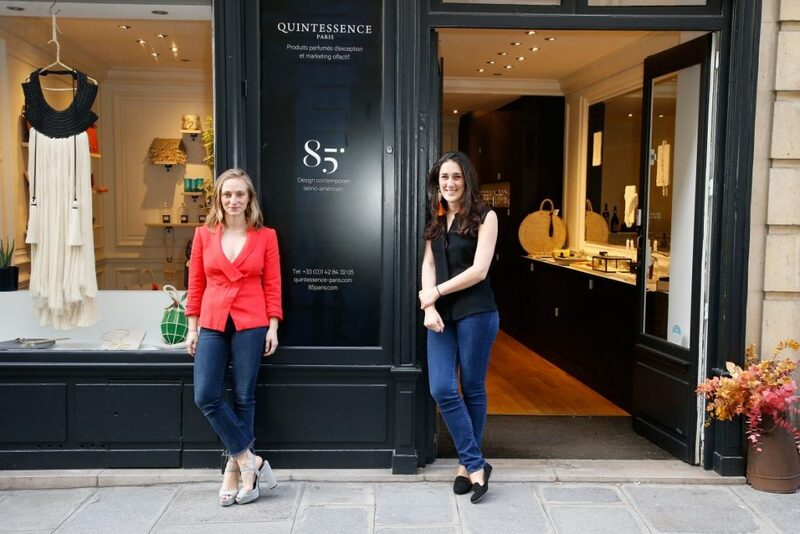 Inès Olaechea is half Peruvian half French and with her partner, Amaya Ducru, who is half Mexican, they started 85° Paris, a company which imports Latin American jewelry and fashion. 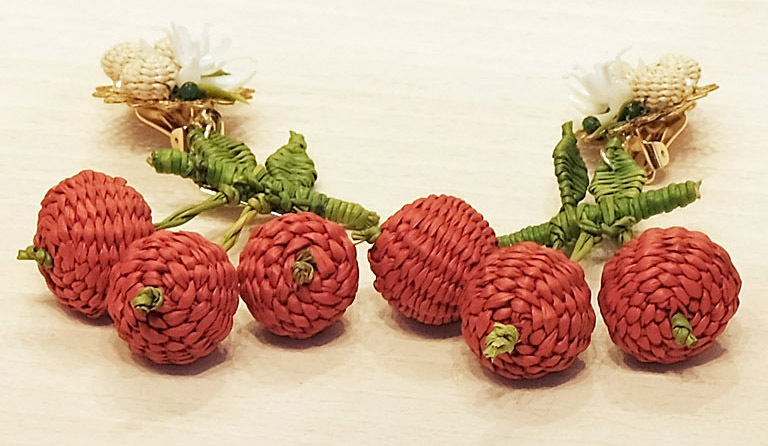 I was totally charmed by Mercedes Salazar’s earrings in straw which are made in Colombia and are perfect for the summer. 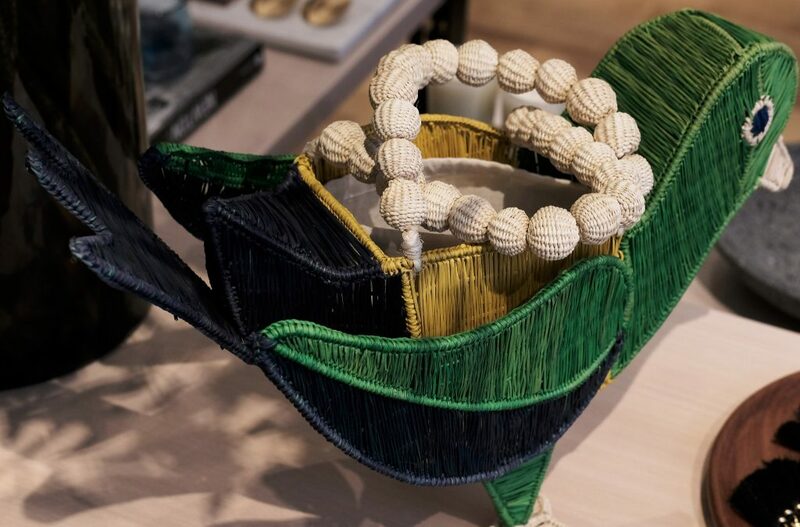 The two friends met in Mexico City while working in communication and they started with a show room in Paris before they deciding to share a shop with Quintessence, the well established perfume and candle brand, started by Sandrine Pozzo di Borgo and her daughter. It is named “Le 38” (le trente huit) and has the whimsiness in style given by well travelled young ladies. 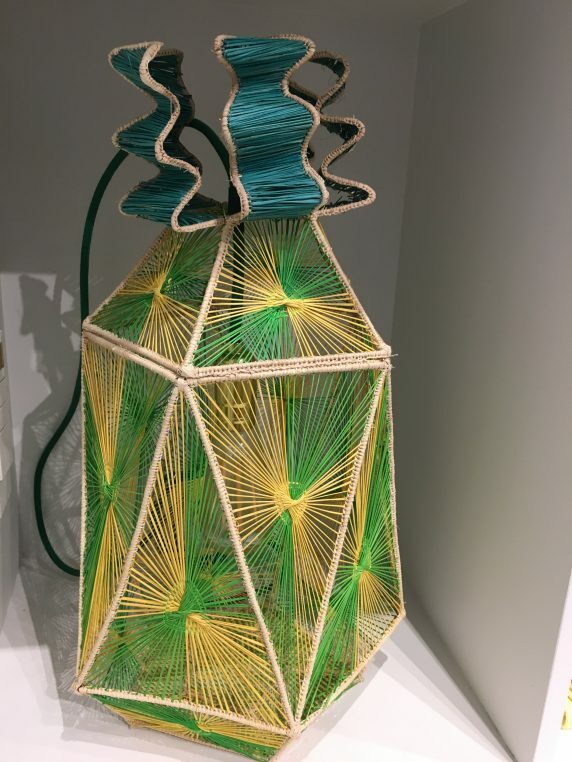 There are thousands of ideas for the summer like a straw suspension in yellow and green designed by Salazar, a braided copper basket with women necklaces, gilt Inca earrings and little straw bags. There is immense sophisticated creativity in Latin America and so little of it is available in Paris. In the winter, there will be alpaca capes and dresses. 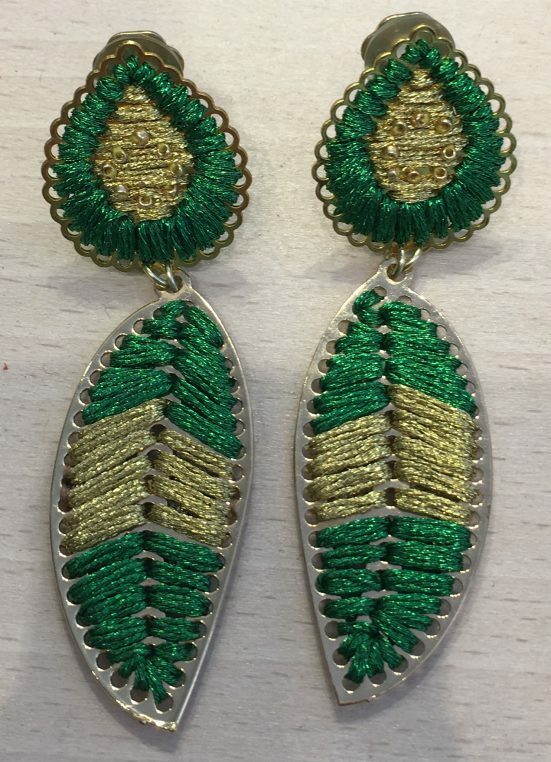 I focused on the earrings, hand made by local communities in Colombia and Mexico. 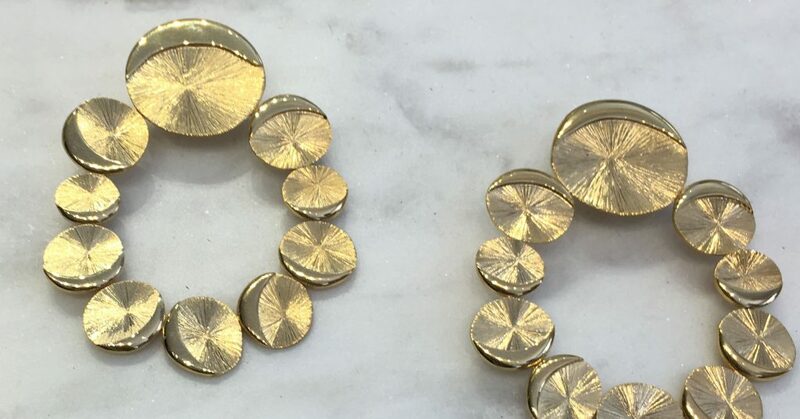 They are all exclusive pieces for Le 38 and the two owners are very strict on equitable and fair pay manufacturing. While discussing in the shop, we were suddenly interrupted by the Fed Ex delivery boy who was bringing a refill of Colombian jewelry. “We sold so much on opening night that we had nothing left in the shop anymore” says Inès who is happy to open the boxes freshly shipped from Bogota. 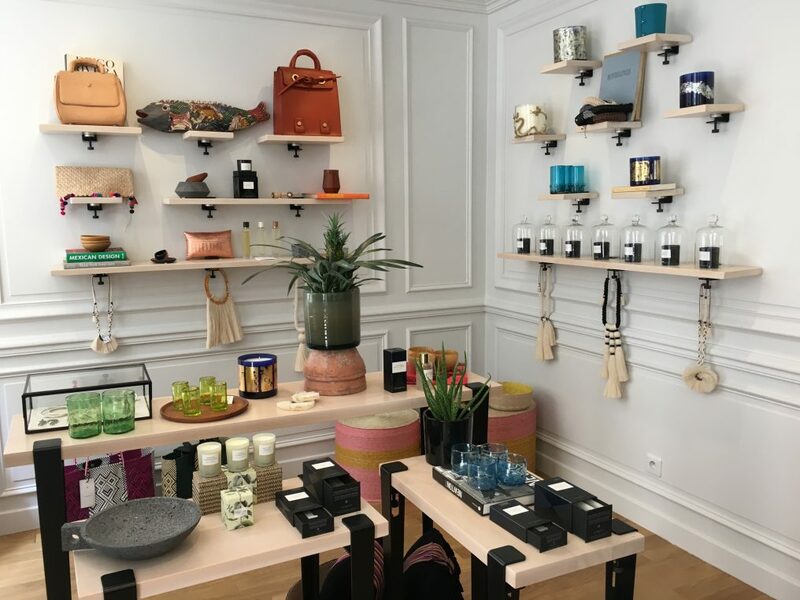 Located at corner of rue du Bac and Université, “Le 38” is bound to have a very successful career and give Parisian life a welcome latino touch! Très joli article chère Laure! Très fière de ma filleule Inès! Lovely and so different! I look forward to shopping there.